Seasonality plays an important role in the housing market by impacting the housing supply and demand. The number of homes sold increases drastically in the late spring and early summer. Three major factors that play into seasonality are school year, weather, and holidays. Winter weather is a less than ideal time to shop for a home. Snow covered houses are not appealing for buyers to view as they can’t see the landscaping or foliage and certain flaws of the house may be hidden (roof, vents, etc.) On top of this, people in general are more apt to get out and about in nicer weather. It’s as simple as that. Next, we come to the holiday season. 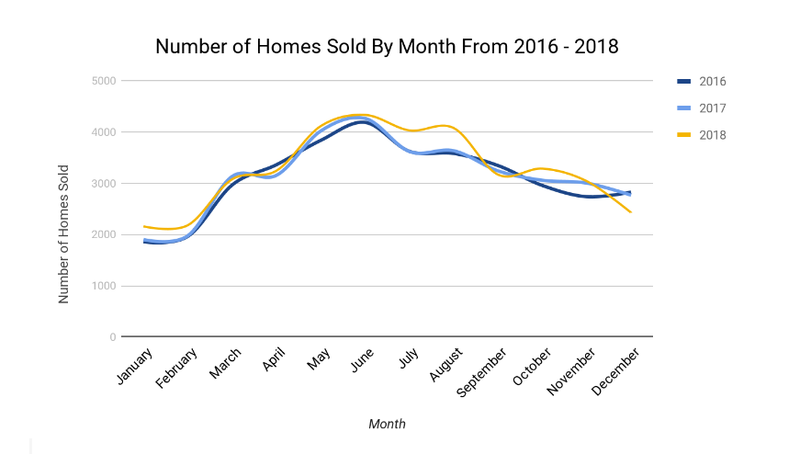 People are extremely busy from November through January which means they are less likely to buy or sell a home during this busy season . Last but certainly not least is the school year. Parents don’t want to uproot their children from their school, neighborhood, and friends in the middle of the school year. Because of this, the best time to start shopping around is spring time, which means your home needs to be in tip top condition when spring rolls around. Selling in spring and buying in summer will give your child a chance to get acclimated to the new neighborhood, and start at a new school at the beginning of the school year rather than the middle.